When solutions are daunting and unpalatable, why seek them? The young Israeli diplomat was visibly flustered, tie askew, forehead glistening. A senior American official had just chewed him out inside the State Department and he had no idea what to say about it to the reporters clamouring for comment outside. He blinked helplessly into their cameras, struggling for words. It is a long time since the world has seen Binyamin Netanyahu as flummoxed as he was in 1982 when, as Israel’s deputy ambassador to Washington, he was called on to explain why his country’s tanks were rolling north through Lebanon. The unease he showed in a recent television interview about a corruption scandal surrounding some German submarines, while palpable, was not on the same scale. The difference between the “King Bibi” who has been prime minister of Israel for the past ten years and the callow youth of four decades ago is remarkable. Mr Netanyahu has kept Israel prosperous and safe. He has used its military might without getting sucked into wars; he has improved relations with once hostile neighbours and gained the respect of world leaders. His country looks strong. But to judge him by this statecraft is not to do full justice to the man. The means by which he has won and maintained power matter, too. They have seen Israel become more divided—and, in some ways, weakened. After the State Department fiasco Mr Netanyahu drilled himself assiduously on the presentational skills a modern politician benefits so much from mastering. He soon became a fluent fixture on American news shows. When he returned to Israel in 1988 to compete for a seat in the Knesset the press was captivated by his eloquence. His powerful speeches and media expertise contributed to the four election victories which made him prime minister from 1996 to 1999 and from 2009 until today. One result of that sojourn in power is that no Israeli diplomat today need worry about humiliation at the hands of a Republican administration. 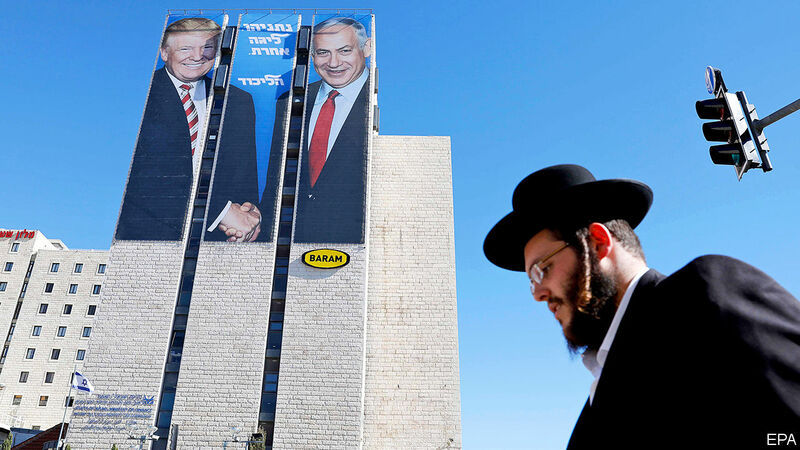 It is hard to imagine a feather sliding between President Donald Trump’s Republicans and Mr Netanyahu and his Likud party. When he arrived in Washington on March 24th for a fleeting visit Mr Netanyahu was treated like royalty. Mr Trump presented him with a princely gift: American recognition of Israel’s annexation of the Golan Heights, seized from Syria in the Arab-Israeli war of 1967. One way to read that generosity is as an election fillip. 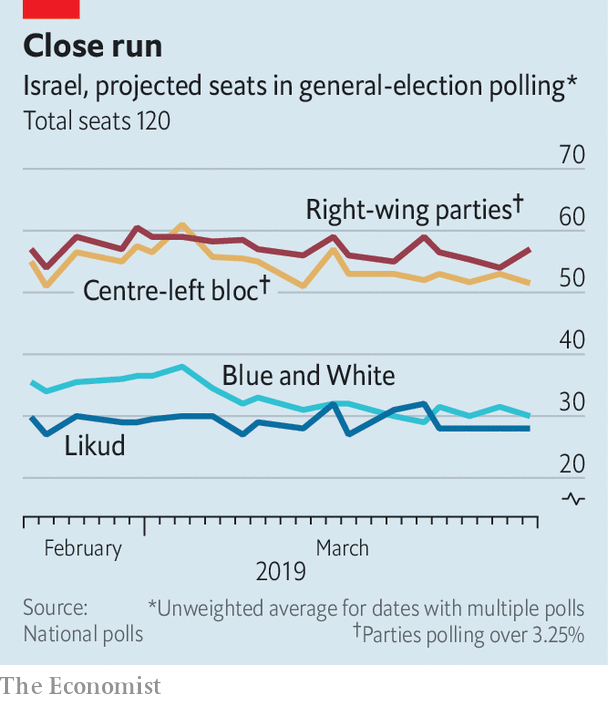 Mr Netanyahu’s hawkish Likud party, which leads a religious and nationalist coalition, is in a tight race with Blue and White, a new party led by Benny Gantz, a former chief of staff of the Israel Defence Forces. The campaign has, like its most recent predecessors, been about Mr Netanyahu himself. Also like its predecessors it is close (see chart), not least because of corruption allegations. Another reading of Mr Trump’s action, though, is that it is a tribute to a forerunner and kindred spirit. Mr Netanyahu was a trailblazer in his skilful intertwining of ethnic nationalism and anti-establishment populism. He has long branded opponents as threats to Israel’s security and whipped up fears of Arab encroachment. He blames his legal troubles on the liberal elite and leftist media; he is beset by witch-hunts and fake news. His opponents counter that Mr Netanyahu’s politics have put Israel’s future at risk. He has done nothing to solve the country’s fundamental trilemma: that it cannot forever remain in control of the land from the Jordan to the Mediterranean, a majority-Jewish state, and a democracy. Instead Mr Netanyahu reinforces the status quo. He has bottled up trouble in Gaza, where 2m people live under the oppressive Islamists of Hamas. As supposedly temporary occupation becomes permanent conquest, Israel’s rule over the West Bank starts to bear comparison to South African apartheid. When the zealots on whom he depends for power in the Knesset push for annexation of the occupied territories he resists, to some extent. But he makes almost no effort to push back. Charges of corruption provide another line of attack. Mr Netanyahu has been indicted for bribery and fraud, pending a hearing, in three investigations. 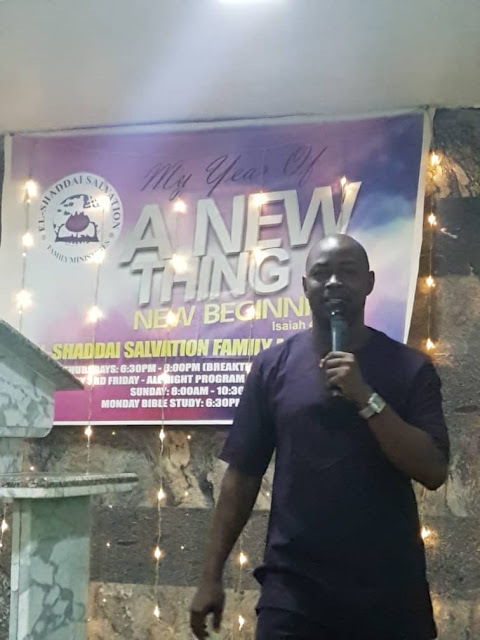 In the first, known as Case 1000, he is accused of accepting expensive gifts from rich patrons (which he admits) in return for political favours (which he denies). The second, Case 2000, hinges on a recording in which he tells a newspaper publisher that he will curb a competitor in exchange for favourable coverage, though the benefit to the publisher never emerged. In the third, Case 4000, he is alleged to have intervened in regulatory decisions on behalf of Bezeq, a telecoms company which owns one of Israel’s largest websites, in return for favourable coverage. Then there are the submarines. Mr Netanyahu’s cousin, who has long been his lawyer, and his former chief of staff, among others, have been arrested in an investigation into contracts awarded to ThyssenKrupp, an engineering conglomerate which has supplied submarines both to Israel and, subsequently, Egypt. Mr Netanyahu pushed the armed forces to buy submarines they did not want and approved the sale to Egypt without consulting his defence minister or army chief. His opponents note that he once owned shares in a supplier to ThyssenKrupp and suggest that he may have profited from the deals. Mr Netanyahu’s response to all the charges has been to sow division and stoke mistrust in state institutions. Mr Netanyahu’s deep divisiveness is not just a side-effect of a forceful personality and trenchant views. It is a tool—one he has used since his early days as Likud leader in the 1990s. “You are worse than Chamberlain,” he told Yitzhak Rabin, the prime minister, in a speech to the Knesset following the Oslo accords that Mr Rabin’s government had negotiated with the Palestine Liberation Organisation (plo) in 1993. “He endangered another nation, but you are doing it to your own nation.” As Likud leader, he participated in rallies where placards portrayed Rabin as a Nazi and in the sights of a gun. When the prime minister was assassinated by a Jewish zealot in 1995, his widow, Leah, refused to shake Mr Netanyahu’s hand at the state funeral. “He didn’t say a word when Yitzhak was being called ‘murderer’ and ‘traitor’, and I will not forgive him as long as I live,” she said. Sorrow for their fallen leader saw Israelis preferring Shimon Peres, Rabin’s successor as prime minister and leader of the Labour party, over Mr Netanyahu by 20 points in the polls at the beginning of the following year’s election campaign. But a wave of suicide-bombings, for which Hamas was largely responsible, changed the mood of the electorate. Mr Netanyahu put out campaign ads showing Peres shaking hands with Yasser Arafat, chairman of the plo; he accused him, without evidence, of wanting to divide Jerusalem. He won the election by less than a percentage point. On that occasion, whatever fears “they” may have had proved groundless. Mr Netanyahu lost by 12 percentage points and left the Knesset. He returned to government a few years later, soon becoming finance minister. The bloated public sector was acting like a fat man riding on the back of a thin man, the private sector, he said, and embarked on radical reforms. He froze public spending, cut red tape and slashed taxes. State assets, including the national airline, El Al, were privatised. Soon thereafter unemployment fell and gdp per head rose. Israel’s technology sector became the envy of almost all who behold it. When it came to the 2009 elections Mr Netanyahu, again Likud’s leader, followed the same tactics as he had a decade earlier. This time, as in every subsequent election, they worked. Likud did not win a majority—no Israeli party ever does—but Mr Netanyahu became prime minister with the support of other smaller parties. Thus, although most Israelis support moves that would reduce the role of religion in public life, such as allowing buses to run on Shabbat and permitting civil marriage, they will not see such change as long as Mr Netanyahu needs the support of the ultra-Orthodox minority which will have none of it. Despite the fact that prime ministers from Likud have led Israel for 30 of the past 41 years, Mr Netanyahu continues to stoke resentment of the so-called establishment. The press is his favourite target. When he lost power in 1999 he blamed reporters for downplaying his accomplishments and accentuating his failures. “I need my own media,” he told his financial backers, exhorting them to purchase news organisations. In 2007 Sheldon Adelson, an American casino mogul who is one of the Republican Party’s biggest donors, founded a freesheet called Israel Hayom, which is now Israel’s most popular paper. Its coverage of the prime minister is reliably glowing; Avigdor Lieberman, Mr Netanyahu’s defence minister until late last year, has compared it to Pravda. Meanwhile the non-lickspittle press sees photos of its journalists on Likud campaign posters beneath the slogan, “They Won’t Decide!” This is in return for the media’s work breaking a number of the corruption stories that the police and judiciary are following up. Those investigators also come in for stick from Mr Netanyahu, despite the fact that he appointed the people responsible for the investigations, the attorney-general and a former police chief. In the current campaign Mr Netanyahu has crossed new lines. He has helped broker an electoral pact between Jewish Home, a religious party, and Jewish Power, a far-right outfit. Until recently Likud felt that Jewish Power’s racist policies put it beyond the pale. But it would not, on its own, receive more than 3.25% of the vote, the threshold needed to take seats in the Knesset. The pact aims to make sure that votes for Jewish Power help Likud’s coalition. All of this has taken a toll on the state, Mr Netanyahu’s critics say. “There is no question that when you look at the strength and health of Israeli democracy, it looks a lot shakier now than it did five years ago,” says Michael Koplow of Israel Policy Forum, a think-tank in Washington. The division is not simply political. The wealth generated by the economic reforms of the 2000s does not impress those who see the country marred by inequality, low productivity and, owing to a lack of state investment, poor infrastructure. Israel has the busiest highways in the oecd, with more than three times as much traffic as the average. The main wards of Israeli hospitals have just 1.8 beds per 1,000 people, well below the rich-country mean. It has the highest level of poverty and peculiarly onerous tax procedures for businesses. Despite this, Likud did not even bother to draft an economic platform before the election. It says its record speaks for itself. When asked about the problem of sky-high house prices in the 2015 campaign, Mr Netanyahu contrived to avoid an answer by steering the conversation to the threat that was posed by Iran. A neat trick; also a telling one. Iran is Mr Netanyahu’s obsession. In his speech to the un general assembly last September he mentioned the country nearly 60 times. “Israel will do whatever it must do to defend itself against Iran’s aggression,” he said. He was a vehement opponent of the deal that Iran negotiated with the permanent members of the un Security Council and the eu, which saw it curb its nuclear ambitions and open its programme up to inspections in return for sanctions relief. Last year he was overjoyed at Mr Trump’s decision to pull America out of the agreement. Neither leader offered any alternative. Pundits took to calling Mr Netanyahu’s strategy “anti-solutionism”. Mr Netanyahu treats the problem of the Palestinians in much the same anti-solutionist way. He has sought to convince Israelis that the conflict can be managed, if the right people are put in charge of managing it, and thus needs not be solved. The last peace talks collapsed in 2014. Though a wave of stabbing attacks in 2015 and 2016 killed dozens of people, it was a far cry from the suicide-bombings of the second intifada of the early 2000s. Missile attacks from Gaza are a chronic, if intermittent, incitement. But more intense violence, which flares up every few years, is soon quelled. Mr Trump’s peace plan, which he calls “the deal of the century”, will be dead on arrival, should it ever arrive. The percentage of Israelis favouring talks with the Palestinians has dropped from over 70% to closer to 50% over the past decade. Among Mr Netanyahu’s supporters it is 30%. These positions on Iran and the occupied territories have the merit of being politically effective, in that his adversaries have not found it possible to counter them. Take the Iran deal. Generals, retired spy chiefs, a former head of the nuclear agency: all said that, although it was flawed, it served Israel’s interests. But Mr Netanyahu’s political rivals dared not criticise his opposition to it. “There’s no daylight” between us, declared Isaac Herzog, then the opposition leader, in 2015. During that campaign Mr Herzog preferred discussing solar panels and mortgages to dwelling on Israel’s continued rule over 4.5m Palestinians. Mr Gantz has been similarly mute this time round. Mr Netanyahu faces no true ideological opposition; just a succession of vaguely centrist parties defined by little more than the personalities of their leaders and their dislike of him. It is true that even a well-intentioned Israeli leader could not hold meaningful talks with either Hamas in Gaza or Mahmoud Abbas, president of the Palestinian Authority (pa) in the West Bank. Mr Abbas, who ran out of legitimacy years ago, is obsessed with preserving his endless rule and more enthusiastic about putting sanctions on Hamas than trying to end the occupation. But Mr Netanyahu has not just avoided negotiations. He has worked to deepen the split between the West Bank and Gaza and to convince Israelis that no deal is possible and no efforts towards it advisable. The army has recommended easing the blockade of Gaza to prevent another war, and even hawkish members of Mr Netanyahu’s coalition agree. Yet the embargo persists. In February, again against security officials’ advice, the government decided to withhold 500m shekels ($138m) in taxes it collects on behalf of the Palestinians as a way of punishing the pa for making welfare payments to the families of jailed militants. It was, it seems, a useful campaign-season flourish. Happy to do short-term damage, Mr Netanyahu refuses to confront the long-term issue that a territory with an Arab majority cannot be a Jewish democracy. Though he is notionally committed to a two-state solution (which his party is not) it is not a notion to be seriously entertained. Temperamentally conservative, wary of change, he governs as if Israel needs no change. The economy is fine for the well off, even if it does not feel that way for millions of people. The religious status quo remains in place, despite public opinion. Because the Palestinian issue cannot be solved, “we will forever live by the sword,” as he said in 2015. Israel and its circumstances are unique. But inequality, reactionary nationalism and mistrust of democratic institutions are problems shared across the developed world. Mr Netanyahu’s long rule shows that, in some circumstances, they can feed off each other in a way that persists. Things wear down, but they do not break. 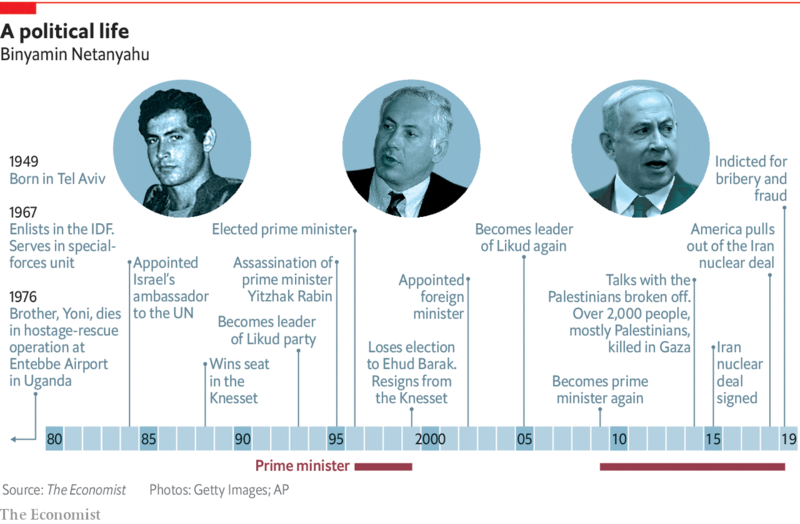 After a decade of King Bibi, Israeli politics feels tired and uninspired, an unhealthy democracy where nothing is debated other than who should lead.